Veterinarians interested in avian science and related subjects shall be eligible for Ordinary membership. Non-veterinarians holding a recognised scientific qualification may be accepted into Ordinary membership provided they are directly engaged in research, advisory work or teaching concerned with avian science. Any Ordinary member may serve as national representatives on the Bureau and may hold office. Applications for membership shall be made to the Corresponding Secretary of the national branch of the World Veterinary Poultry Association or in its absence directly to the Secretary/Treasurer. The national branch or the Secretary/Treasurer shall grant membership. The Secretary/Treasurer may also accept members who choose not to join a national branch. Membership subscription are currently €5 per year. It shall be paid by branch members to the national Corresponding Secretary and by individual members to the Secretary/Treasurer by 1st June each year. 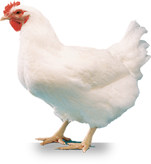 The World Veterinary Poultry Association (WVPA) is a global professional association for poultry veterinarians and other avian health professionals. WVPA is run by an elected Executive and holds a Global Congress every two years. Its members come from all around the world and are in academia, research, government, industry and practice.